First, open Disk Utility by your favorite method. You can go to your Applications folder -> Utilities -> Disk Utility. My preferred method is to use Spotlight: Press “Command + Spacebar” and you will see the small search bar open in the upper right. Start typing Disk Utility. When it is the highlighted option, press enter and wham it opens. Great, now you’re in Disk Utility. Insert a blank disk into your drive. 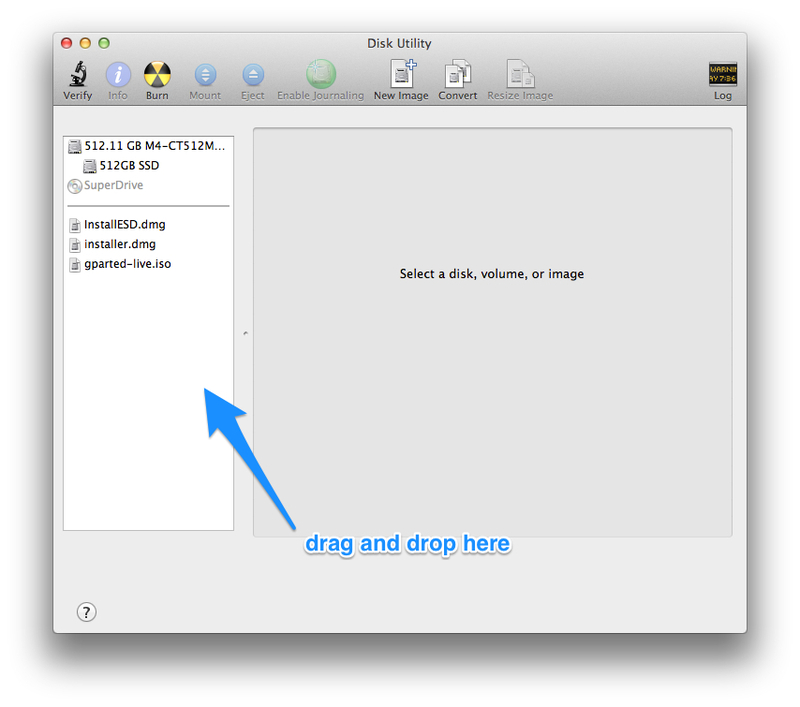 Now your .iso image or your .dmg image should appear in the left pane of Disk Utility. If it doesn’t simply drag and drop it in that left pane. Ok in my case I want to burn the “gparted-live.iso” to a DVD. 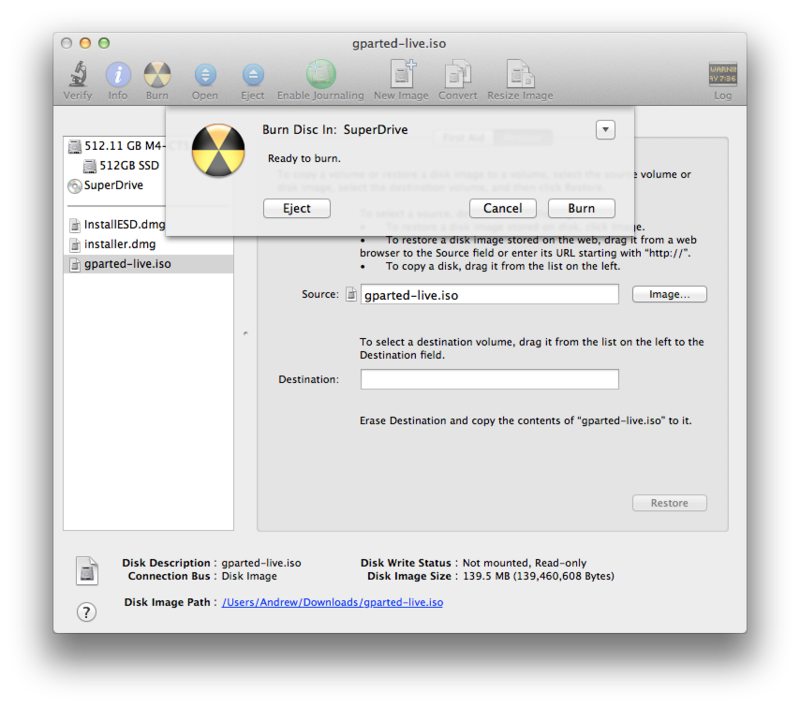 Simply select it, and click the radioactive “Burn” icon at the top of Disk Utility. And Done!